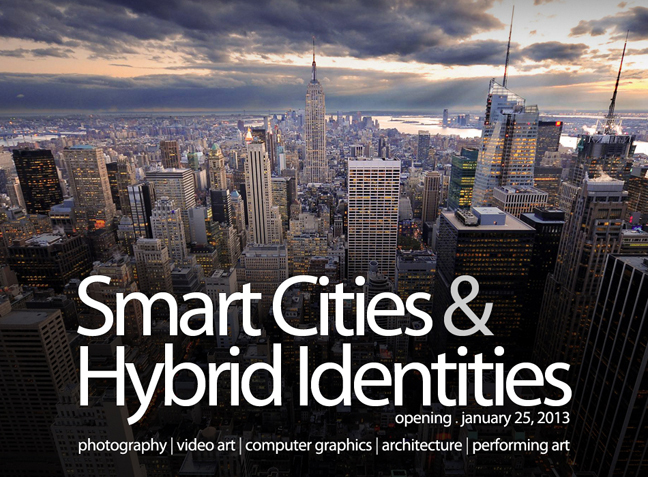 [Venice], January 22, 2013 - SMART Cities & HYBRID Identities, an International Art Festival of Photography, Video Art, Computer Graphics, Architecture and Performing Art, will be held in the city of Venice, during the fabulous Carnival of Venice. The Scoletta di San Giovanni Battista e del SS. Sacramento in Bragora, the venue of the event, will open its doors on Friday 25th of January, until Sunday - 27th of January. Thirty-five artists, from different countries, have been selected to be part of this project. The selections has been based on the main concept of hybridization between identities and urban environment to create a smart life. People, backgrounds, societies, progress and all their inputs creates hybrid identities, modifying each other and being mixed in prospect to shape a better world. Mixing sustainable transport; modern (ICT) communication infrastructure; sustainable economic development; and wise management of natural resources, human, intellectual and social capital, is the key to reach a future better life quality. Be smart. Be hybrid. Be better. During the event will be presented the Solo Show of the performer Ji-Eun Lee, and the video “Chromatic Revelry” by Evann Siebens, winners of “ID / Identities” Istanbul 2012.
International ArtExpo in collaboration with It’s LIQUID, will offer to all the participants in the exhibition opening (students, artists, architects, designers), the FREE SUBMISSION for It’s LIQUID International Contest | Second Edition! You will find the free submission form at the Venue in Venice. After the event, our organization will select the winning artist of 1 year of participation (6 events) in International art exhibitions organized by International ArtExpo, all over the world. Prize: 1 Year of participation in International art exhibitions organized by International ArtExpo, all over the world. International ArtExpo is proud to present the video “Solipsist” by Andrew Thomas Huang, from the “Autour de Minuit” selection. Andrew Thomas Huang is a filmmaker and artist living in Los Angeles. His film career is preceded with a love of drawing and painting, paralleled with experimentation in animation, fashion and puppetry. These interests culminated in his short film "Solipsist", which was honored at the Saatchi & Saatchi New Directors Showcase at Cannes Lions and won Best Experimental Short Film at the Slamdance Film Festival. The film caught the attention of Icelandic polymath Bjork, leading Andrew to direct her music video for "Mutual Core", premiering at the Museum of Contemporary Art, Los Angeles. Andrew's work has also been showcased at the Hammer Museum, MOCA Taipei, ZKM Media Museum, ASVOFF at the Centre Pompidou, as well as various publications including Interview Magazine, DAZED&CONFUSED, Paper Magazine, The Atlantic, Motionographer, SIGGRAPH's electronic Theater, and Creativity Magazine's "Directors to Watch."